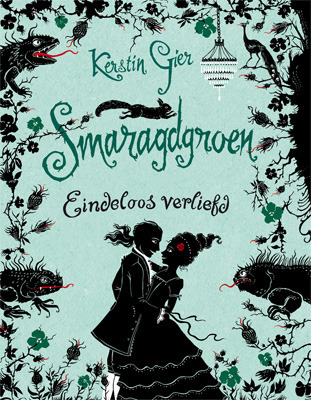 You’re Killing Me, Kerstin Gier! On Saturday, I had five of the same, and every day before that at least five per day, and on up to ten. Not to either insult Ms. Gier or pat myself on the (book) spine, but I did not notice many people reading or reviewing the first book in the series, Ruby Red when I first read it. I even pointed it out to my daughter’s school librarian when I saw they had a couple of copies at their book fair last year (one of which accompanied us home). I just assumed that it was one of those books that was a well-kept secret that not many readers knew about. Now there’s this explosion on the internet in my bookish circles where people cannot wait to get their hands on the third book of the trilogy. Part of the problem is the book was published already in Germany, and the English speaking world is waiting for the wonderful translation. And all we know is that it is coming out some time in September. There’s 30 days there, Ms. Gier, to work with. Can it be narrowed down at all? Please? Bitte schön? Ms. Gier, unfortunately, is not on Twitter, but she does have a Facebook page. 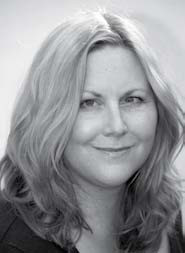 She (or someone) has kindly responded to two of my three questions that I have posted there. Question: Are you on Twitter? Answer: Nein. So I am diligently trying to get the answer about the release date. Now someone else needs to lobby the film industry to make this trilogy into a movie. Danke. OMGGG I AM BASICALLY CRYING OUT OF SUSPENSE! 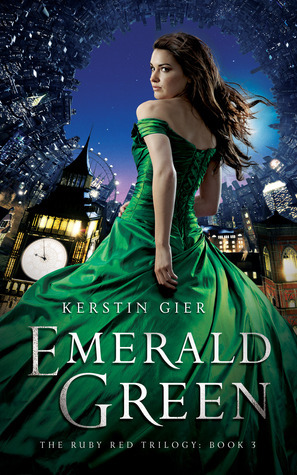 I need to read Emerald green or ima die!! I know…there, there. It’ll be out in about 5 months, then we’ll all be sad it’s over. It will be published here in October. I think I have a total of 3 posts about it…so, CHIN UP! Look on the left side of my blog and copy the countdown for the release of the book!